’Tis the season when gift-giving is upon us, and there is little more gratifying than finding the perfect gift to light up a loved one’s face. But in the giving spirit, we can gift our loved ones and help those less fortunate as well. 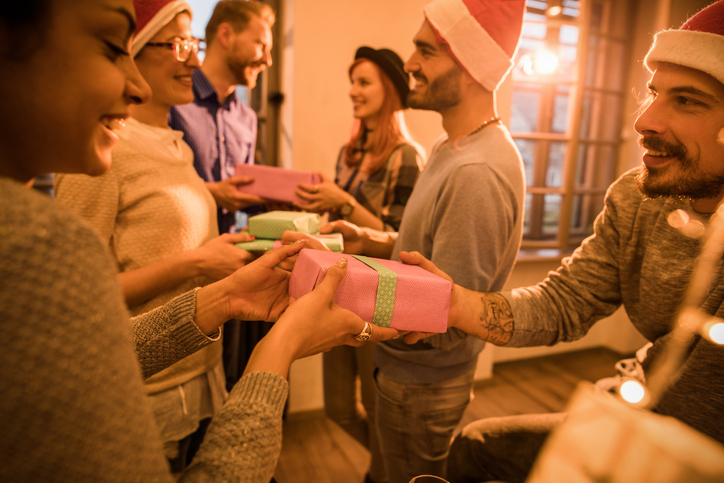 You can make your shopping experience charitable this year by giving quality products from stand-up companies who give back a portion of their proceeds to those in need. Warm up some tootsies. Socks are the most requested clothing item at homeless shelters. For every pair of Bombas quality socks you purchase, the company donates a pair to someone in need. More than 11 million pairs of human kindness socks have been donated so far. You can browse the fine product line at Bombas.com. Inspire a cook. Start with No Kid Hungry Celebrity Spatulas from Williams Sonoma, a line of cute and quirky spatulas sporting original artwork by Laila Ali, Gwen Stefani, Scarlet Johansson, Kevin Bacon and a dozen more compassionate celebs. Thirty percent of proceeds go to No Kid Hungry, an organization that fights childhood hunger in America. To see the designs, go to WilliamsSonoma.com and search for celebrity spatulas.